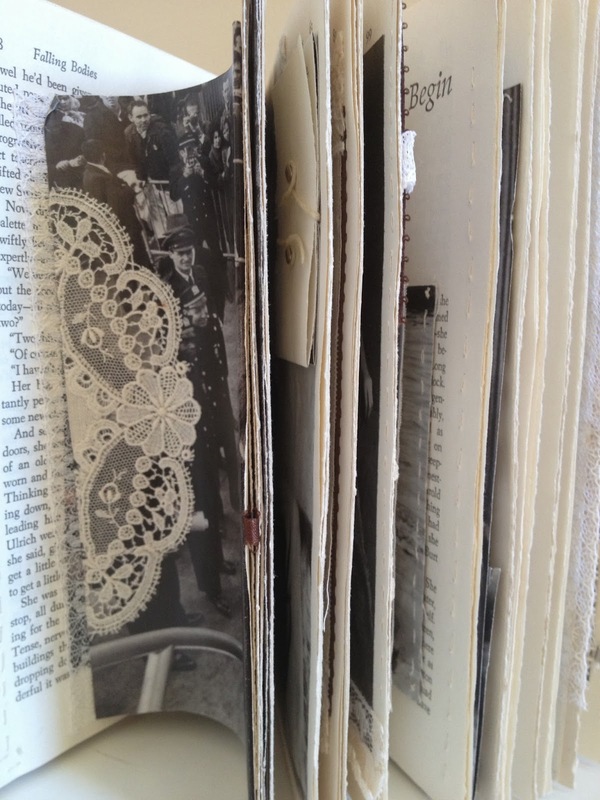 I love making books from scratch, but sometimes the hard cover of an existing book inspires me to work directly into its pages. 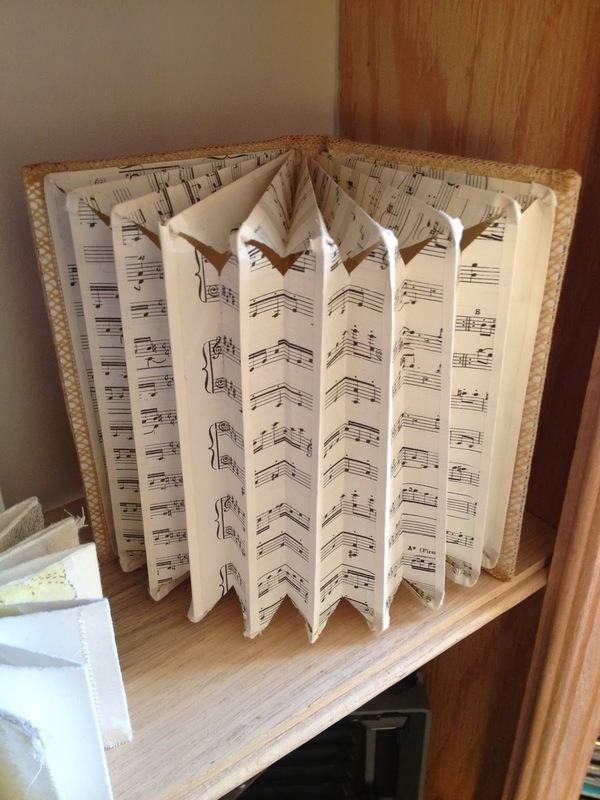 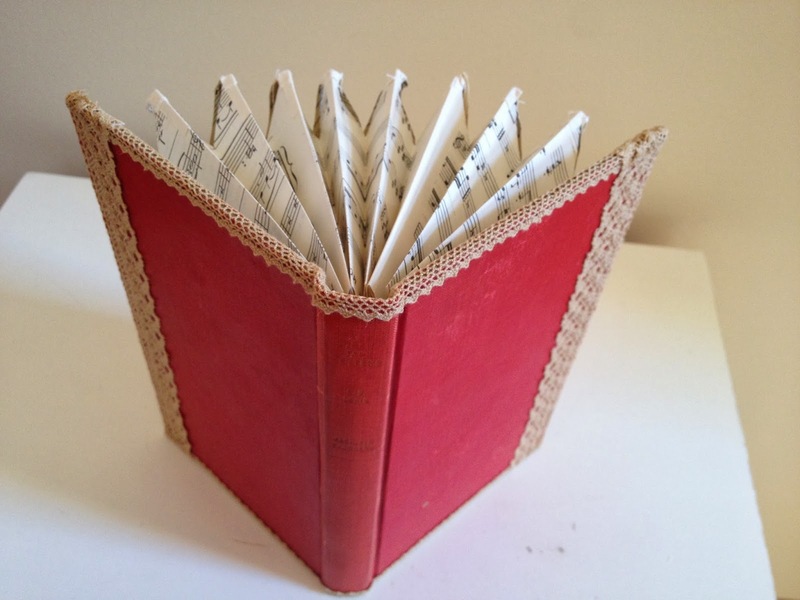 For this one I took pages from a music theory book and crafted them into a paper accordion. 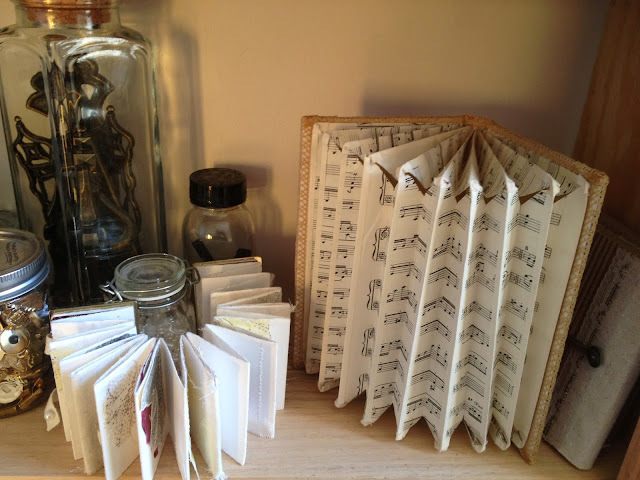 I removed all of the pages out of another book and cut down the cover to the size of the accordion. 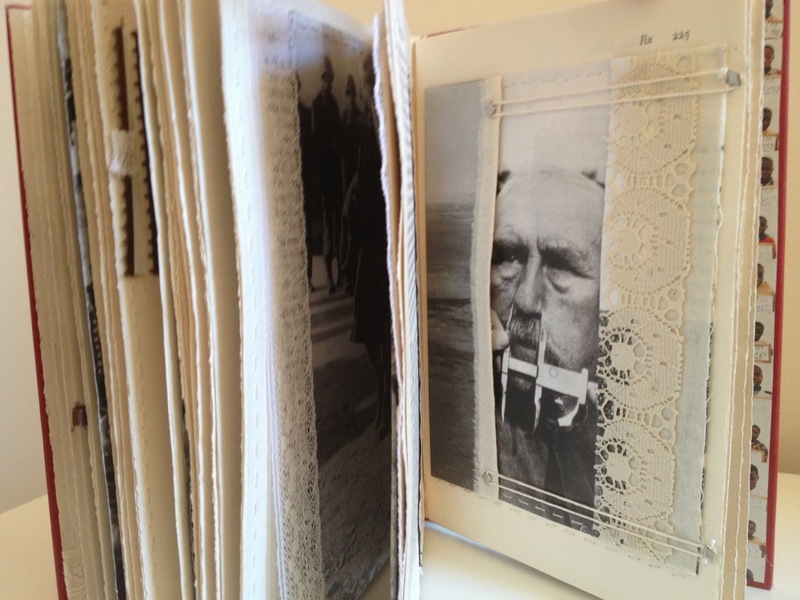 The following images are from an altered book I made after finding a magazine on 100 photographs that shaped history. 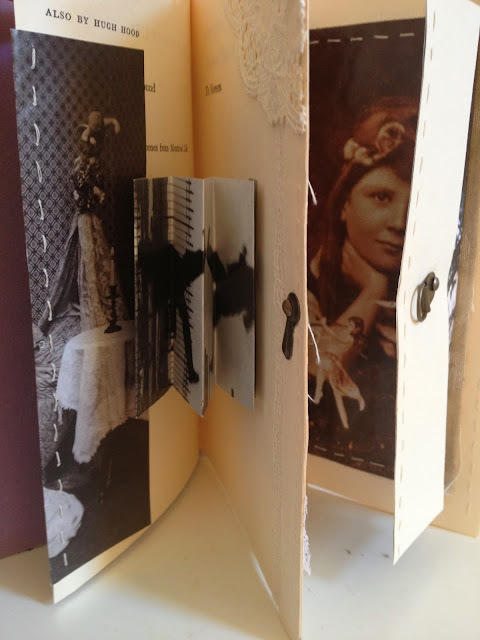 I wasn't fond of looking at the pictures in a magazine form, so I cut them all out with the corresponding information, and sewed them into pages with hardware and lace.